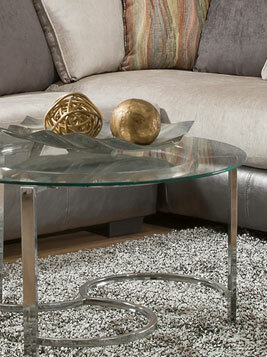 Brighten up your space with a sprinkling of sparkle. Adding light reflecting surfaces like metals, glass, mirrors and crystals to your room adds brightness, dimension and interest to your space. Interior designers equate it to adding jewelry to your ensemble. Where to begin you wonder? Lamps offer an easy way to add some sparkle to your room, plus the built in light source amplifies the impact of the reflective surface. 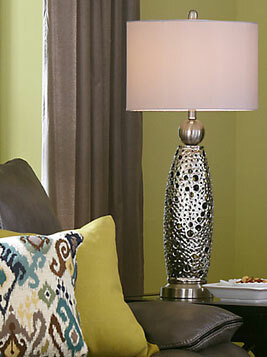 Here the copper lamp, silver bobbles and colored glass bring the warm and cool shades of the room together. 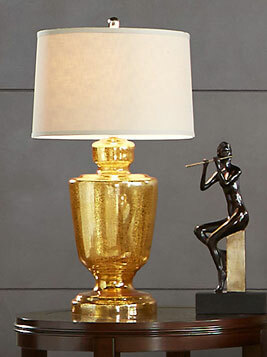 A gold lamp paired with gold and black sculpture create a sophisticated accent. 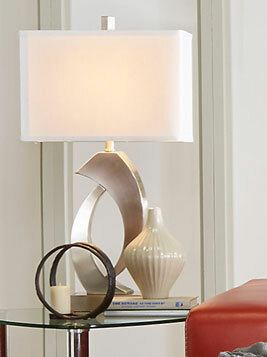 This burnished nickel lamp offers an interesting texture along with a bit of shimmer. 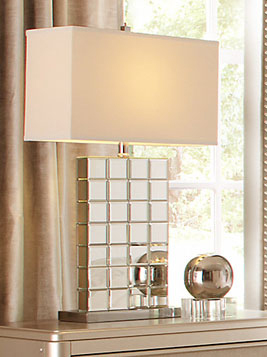 Try adding reflective elements to your living room like this a brushed nickel lamp, dramatic room sized mirror and silver vase or mirrored lamp for instant impact. 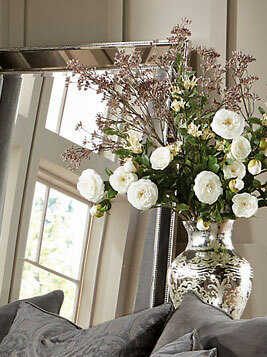 Wall art and frames in silver or gold add drama to bedroom walls. The silver wall art contrasts the deep shades of the headboard while echoing the nailhead trim detail. 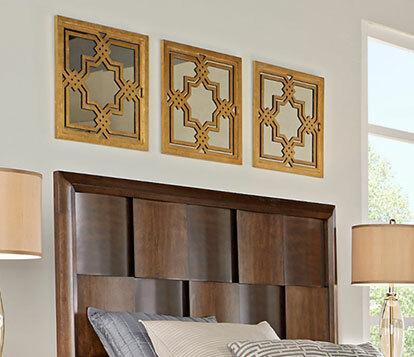 The gold mirror frames highlight the warm tones in the wood furnishings. Metal accent tables make can be found in contemporary or classic styles and add a glass top, you’ve got an opulent alternative to wood. Stumped on which metal to choose - silver or gold? 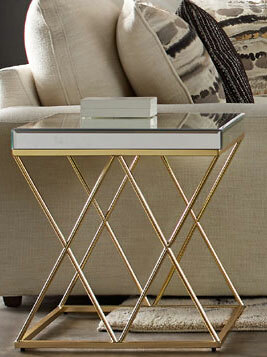 The growing trend in interior decorating, just like in fashion, is mixing metals together. Don’t just stick to one metal finish, variety and contrast add interest. 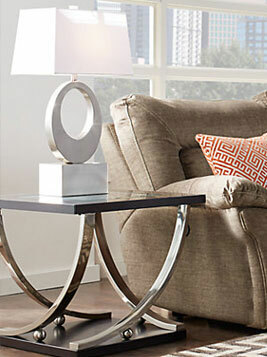 The above accent table features both gold and silver accent table, the chrome and black side table pairs beautifully with brushed silver lamp, a polished silver cocktail table is topped with bronze décor items that pick up on shades of a toss pillow on the sectional in the room. Mix and match your finishes pairing tinted glass with gold and brass room decor, silver lamp with mixed metal candle sticks, or crystal chandelier with silver decorative accents.